My Globosocial Adventures started after 12 years of being involved with social projects both full time and voluntarily. I started volunteering and working in the social sector when I was 20. Along the way I've worked on grassroots projects, started and run initiatives, joined and chaired charity boards and provided pro-bono advisory help and input to nonprofits and social enterprises around the world while also working as a commercial consultant; all with the end goal of learning enough to be able to effectively support people that help others. The vast majority of organisations directly working with people are small and massively underfunded. However we cannot solve large scale problems through big entities alone. Neither governmental nor transgovernmental entities have been able to eradicate human challenges, so it's clear that the answer lies in networks of small able organisations. My long term goal is therefore to understand how to design better global support systems for small social organisations, and to improve the connectivity between people working to address similar social issues. However, as I began to work with organisations based in regions outside the UK, I began to find that I was making assumption errors because my norms are in a western space. I was also starting to realise that contrary to what most people believe, human challenges are similar around the world, even when the cultures and economies are different. Finally I wanted to interact at roots level with social projects, innovations and approaches on the ground in countries outside the western sphere, so that I wouldn't have to rely on second and third hand information like interviews and write-ups to understand how problems really do or don't get solved. Since there's only so much you can grasp from books and blogs, I figured the fastest and most effective way to build a deep global understanding of social endeavour would be to travel through different regions I wasn't familiar with; working behind the scenes with social and charitable enterprises, helping address the challenges these teams and organisations face for free in return for insider access to behind the scenes realities. So in 2009 I quit my job, and set-off with a backpack to travel and work through all the regions I didn't know enough about. The whole journey has since been based on word of mouth and recommendation based connections, and I used only my own finances to stay independent and free. I figured I'd keep going until I ran out of money or something else stopped me. 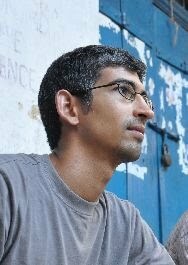 Over the past 2 years I have directly interacted and worked with more than 100 different organisations in 20 countries across South America, the Indian Subcontinent, South East Asia and Africa; helping address a wide range of challenges and understanding more about social problems, design and implementation around the world.